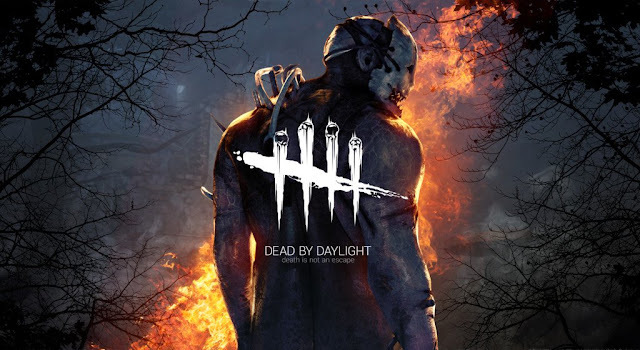 Some huge updates for Dead by Daylight in the past 2 weeks. Plenty to post about, as I was away on a short holiday last week. 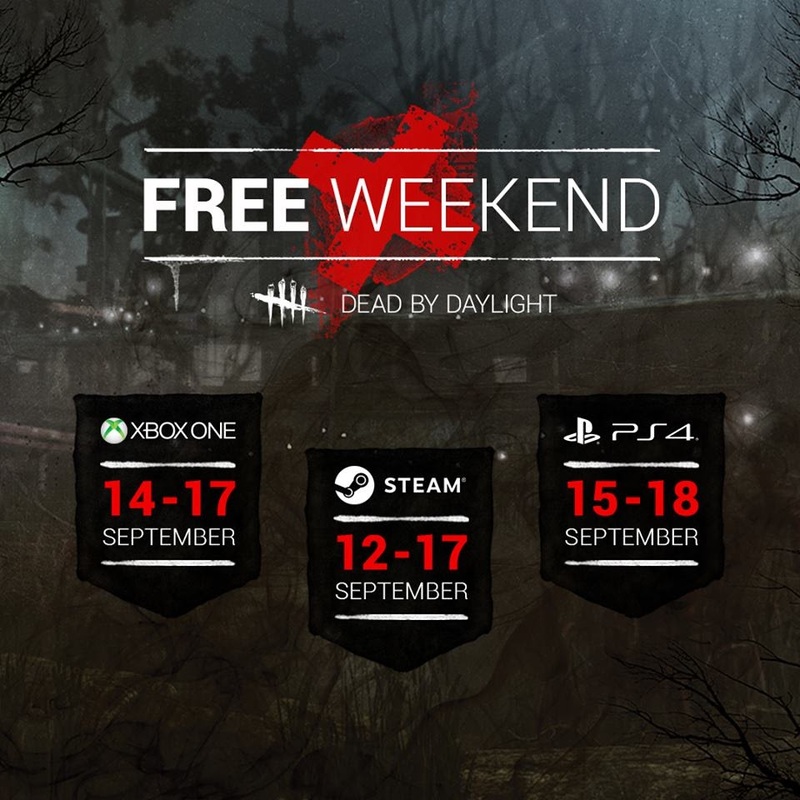 Dead by Daylight is going free to play this weekend! This will be a great time to give this game a try and see for yourselves how you like it. For PS4 players, you can download the game from either the US or the EU store and give it a try. If you do intend to try it, do let me know below and I'll add you on PSN and help you out if you wish. Would love to have more friends on this game! The game is also on a 30% discount (USD$20.99/£18.99) for a couple of days so now is a great time to get the game if you like it. A teaser was posted just a few days back.. I wrongly predicted that this was a tease for the replica masks that they intend to sell at their merch store.. but some others got it right. Check out the trailer and the Character Spotlight vid below.. This is surprising to be honest. Considering we already have the Hillbilly.. which is without a doubt a reference to the Leatherface character.. the two characters definitely have similarities. Will have to wait for its release to see how he plays before judging. His new perks would definitely change things up quite a bit. I felt that David King's perks were giving the Survivors a huge boost but with Leatherface's perks, things should even up a bit more. Console players have to wait a while longer before this content is available for us but it shouldn't take too long. The Fall Masquerade Challenge/Event came and went. Unfortunately, we didn't complete the goal.. There was some controversy regarding what counts and what doesn't and it wasn't made very clear to a lot of players. There was speculation about other reasons also contributing to the failed challenge but whatever the reason was.. I thought it was an enjoyable double Bloodpoint weekend. 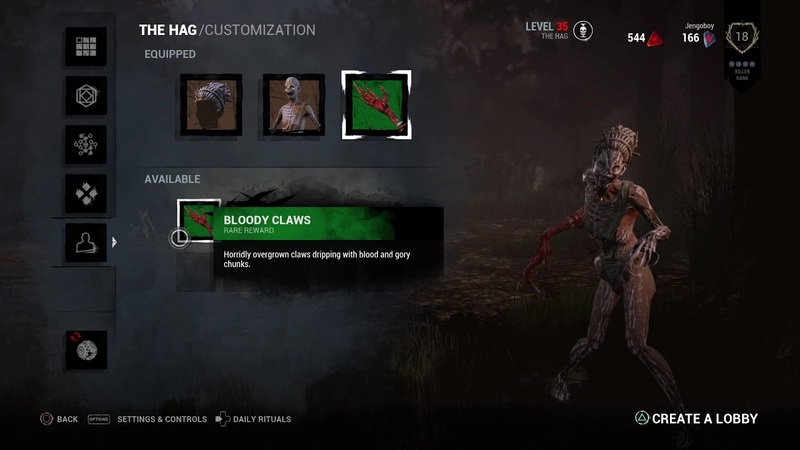 I managed to Prestige the Hag, my main Killer, for the first time..
Good stuff! I'm getting quite good at the Hag.. I think.. and I'm really enjoying playing her. But I'm gonna take a break from her for a while. Gonna train with the other Killers until the next Double/Triple XP and I'll level her up again for another Prestige. That's all for this update. Great to see the new content coming in thick and fast. I'll do another update from the recent Dev Streams in the next few days. 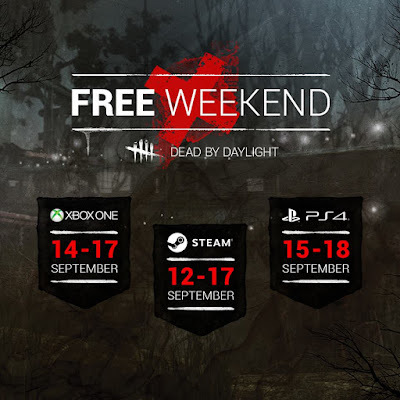 Don't forget to try the game out this weekend for free!